Amazon Prime Day — Snag a FREE Membership to Save BIG! This is going to be a HUGE day for online shoppers and deal-lovers! July 15th is Prime Day and Amazon is promising it will be better than Black Friday. Prime members can shop exclusive deals from electronics, toys, video games, movies, clothing, patio, pet supplies, lawn and garden, sports and outdoor items and more. If you are already an Amazon Prime member then you are all set…just set your alarm and visit frequently to snag as many great deals as possible, along with a few special giveaways and surprises. Don’t have a membership? Signup HERE to get a Free 30 Days Prime Membership + Free 2 Day Shipping & Streaming Movies. 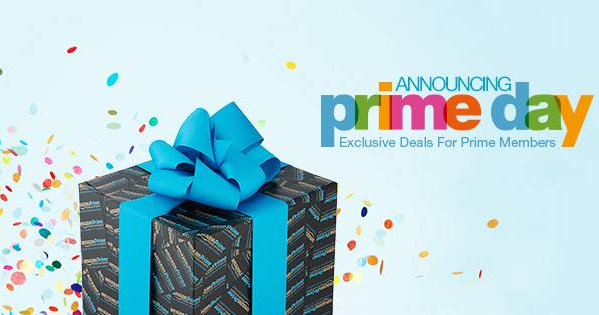 You’ll get a free one month trial membership PLUS access to Prime Day tomorrow! Visit the Prime Day info hub to learn more about what to expect during the big day. 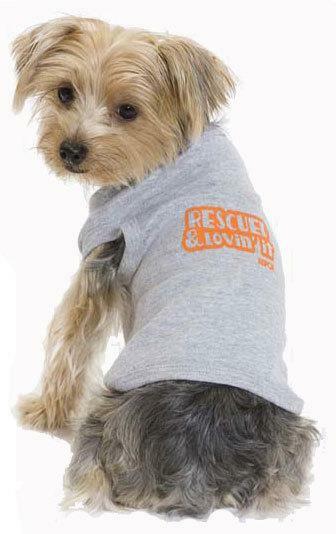 Super Dog Sunday: Get Involved, Win Prizes + Help PetFinder Foundation! Football fans and pet lovers, listen up! It’s almost time for the 3rd Annual Super Dog Sunday! Whether you prefer the Puppy Bowl or the Super Bowl (or love both, like we do), be sure to get involved in the upcoming football-themed online festivities for chances to win cool pet prizes and more importantly, to support the work of the Petfinder Foundation and help raise awareness about pet adoption! To get in the swing of things and learn more, be sure to join us at #SuperDogPics, a Twitter party on January 20 from 4-5:30 ET. There are some great sponsors and prize providers lined up and you’ll also get lots of tips that will help you with the main event event: Super Dog Sunday! Get more info and be sure to RSVP for the Twitter Party here! Super Dog Sunday is a photo contest that runs Jan 20-Feb 3 (Super Bowl Sunday) featuring football-themed photos of your pets or Petfinder pets in search of a forever home. In addition to promoting pet adoption and raising funds for the PetFinder Foundation, there will be more than $1500 in prizes up for grabs, so head on over to get the full scoop on how to enter! Daisy and I hope to see you there! 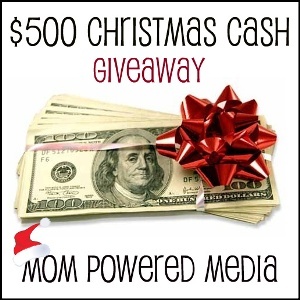 Blogger Signups are open now to join the upcoming Christmas Cash Event hosted by Mom Powered Media. Prize: $500 Visa Gift Card OR $500 Paypal Cash OR $500 Amazon Gift Card. Event Runs 11/7 – 12/5 so be sure to check back then to enter!!! 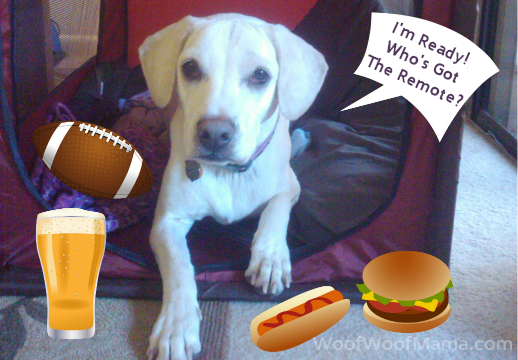 Free Blog Event – Be sure to say Woof Woof Mama referred you when you sign-up here! Blogger Signups Open for Halloween Giveaway Event! 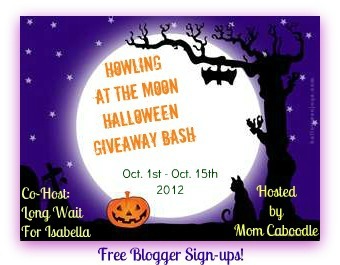 Free blog giveaway event hosted by Mom Caboodle and Long Wait For Isabella! Bloggers signup here! Howling at the Moon Halloween Giveaway Bash runs Oct 1-15 and your prize/prize package should be something for Halloween or Fall w/ a min. value of $25!